Arkansas Second-Highest In Sales Tax Rate…Again! The 2015 edition of the American Legislative Exchange Council’s (ALEC’s) “Rich States, Poor States” study came out today. 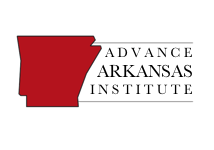 Arkansas’s ranking dropped from 11th in 2008 to 22nd in 2014 in economic performance and outlook. The Economic Outlook Ranking is a forecast based on a state’s current standing in 15 state policy variables. 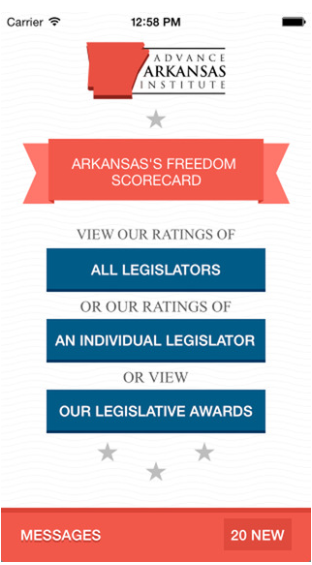 Each of these factors is influenced directly by state lawmakers through the legislative process. Generally speaking, states that spend less—especially on income transfer programs, and states that tax less—particularly on productive activities such as working or investing—experience higher growth rates than states that tax and spend more. The Economic Performance Ranking is a backward-looking measure based on a state’s performance on three important variables: State Gross Domestic Product, Absolute Domestic Migration, and Non-Farm Payroll Employment—all of which are highly influenced by state policy. This ranking details states’ individual performances over the past 10 years based on this economic data. Note: this study doesn’t include legislative changes (good and bad) made in the recent 2015 General Assembly. Arkansas has the most room for improvement in the areas of sales taxes, the high number of public employees as a ratio of the state’s population, and personal income tax progressivity (also known as: the government discouraging people against working harder and earning more through tax policy). We rank 40th in the nation or below in all those areas. Unfortunately, our low ranking on sales taxes will come as no surprise. Arkansas, in what has become a sad annual tradition, ranked second in the nation in sales tax burden from combined state and local entities in 2015, according to the Tax Foundation. According to the study, average Arkansans pay a combined state and local sales tax rate of 9.26 percent. That’s another way of saying it’s tax season year around here in the Natural State! Tennessee has the highest combined sales tax rate of 9.45 percent. So thank goodness for Tennessee! What causes such a big sales tax in Arkansas? I would not have thought that of all the states, they would be really high in tax rates. Right now, it seems like a lot of the taxes have stabilized for the time being. hopefully the taxed start to go back down. I think it would help everyone out.